One of the interesting things about investing is the almost infinite number of ways that you can tackle it. From indexing to stock picking, bottom-up and top-down, technical and fundamental analysis, skuttlebutt and quantitative formulas, you’ve got enough options to keep you happy for a thousand years. That’s why I’m going to try out a new approach to value investing for a while. The eagle eyed among you may spot its origins. Note – Although I did say I would cover my recent flurry of purchases I just haven’t had the time, especially given that I’m trying out this new way of looking at stocks. Apologies for those who really wanted to know why I invested in Yellow Pages. Mears Group is my first purchase of a company which is currently doing pretty well in addition to having a very solid history. In the past I’ve focussed on companies that are ‘cheap’ first, with only a fleeting glance as to their quality. Going forwards it’s likely to be the other way around. Mears currently operates in two main markets; support services to local authorities and domiciliary care. They began life as a small, private building contractor in 1988 and by 1992 they had moved partly into maintenance and repair work for local authorities. In 1996 they floated on the AIM market with a turnover of £12 million and 83 employees. Through organic growth and acquisitions they grew to a £200 million turnover in 2005, winning the ‘Decade of Excellence’ and ‘Best Performing Share Over 5 Years’ AIM awards. By 2010 they had listed on the main market, won the PLC Award for ‘New Company of the Year’, joined the FTSE4Good index and grown to a £500 million turnover and 12,000 employees. By any stretch of the imagination that’s a pretty impressive track record. Just as impressive is the level of consistency in these results. Revenue, profit, dividends, they’ve all grown in every year for a decade. The only blip, if you can call it that, has been the current year in which profit before tax and basic earnings per share were down slightly from last year. Consistency is important as it may correlate with predictability of future earnings, which is useful since I’ll be doing some forecasts in a minute. All this growth and consistency translates into a compound growth in earnings around 21%, an average return on equity of 23% (although for the last few years it’s been nearer 15%) and a high return on capital. Since 2001 management have retained almost 90 pence of basic earnings per share. In that time earnings have grown by about 13 pence, which you could say gives a return on retained earnings of just under 15%. Using adjusted earnings, they have retained over 98 pence and the growth in earnings is almost 17 pence, giving a return on retained adjusted earnings of over 17%. Either one of those numbers is a pretty good rate of return on retained earnings. The return on retained earnings is important because the earnings generated by a company can go in two directions. Some portion of it can be paid out to shareholders as a dividend, which they are then free to spend or invest as they see fit. What isn’t paid out is retained within the company and is therefore at the mercy of management. If management decide to put the money in a bank account, or invest it into equipment which is needed just to maintain the current level of earnings then you’re unlikely to get a good rate of return, if any, from that portion of the earnings. It’s all well and good buying a lot of earnings for your money through a low price to earnings ratio, but if management have to reinvest those earnings just to stand still, the earnings are effectively worthless. Imagine a company earning a million pounds a year and you buy that company lock, stock and barrel for ten million pounds. You’ve paid ten times earnings which is a pretty good price. If the company then spends a hundred thousand on upgrading equipment and then pays nine hundred thousand out to you the owner, you’re getting a 9% return on your investment. If the company doesn’t grow over time then you’re getting 9% a year, which you can look at as if it’s a bond with a variable yield since the company earnings are likely to fluctuate somewhat each year. However, if the same company then has to spend eight hundred thousand pounds a year on new equipment, just to keep up with some new competitor and just to keep the earnings at the one million mark; those earnings are effectively lost to you. They disappear into the pockets of the equipment suppliers. In this case from the one million earnings you only see two hundred thousand as a dividend, a 2% return. Even though the company is retaining much more earnings they still cannot grow the company, so the 2% return is more or less static. This, of course, is a much less happy situation than the 9% return, but in both cases you are getting a 10% earnings yield. The key point is what happens to those earnings? Are they reinvested, either by you or by the management, at a decent rate of return or are they burned up in a desperate effort just to stand still? In Mears’ case, they have not had massive capital outlays and have managed to deploy the retained earnings into various profitable ventures. This makes me happy since, as the owner, I want my earnings to be invested at the highest rate possible. So on the face of it Mears is a good company earning profit, paying a dividend, growing steadily and strongly over a long period of time. It is perhaps the sort of company I’d like to add to my portfolio, but only if the price makes sense. There are various ways of deciding if the price is right. The current earnings yield (the inverse of the PE ratio) is around 9%. Given that management are growing their retained portion of earnings at something over 15%, I can sensibly count their earnings as part of the earnings yield. The current yield on a basket of corporate bonds is around 5%. So in one way Mears could be viewed as a variable rate bond, yielding 9% now and growing that yield at around 15-20%, which looks better than a static 5%. Another way to look at the current price is to look at the price/earnings/growth or PEG ratio. The historic earnings growth has been around 20% and the current PE is around 11, so the PEG ratio using historic average growth is around 0.5-0.6. Anything below 1 is considered by many as worthy of further investigation. Yet another way of thinking about the current price is to compare the current PE to its historic average. In Mears’ case, the current PE of 11 is below the average of 17, which means that investors are unlikely to be as positive about Mears’ future as they have in the past. Interestingly, 17 would put the PEG ratio quite close to 1, and therefore perhaps quite close to fairly or normally valued. If the current price looks interesting, how will that translate into future returns for me as a shareholder? That’s the big question isn’t it? Of course there is absolutely no way to know. But to avoid giving up and going back to indexing, we can try to make some reasonable forecasts for the company’s future. These forecasts will never be anything other than wrong, but they may be able to give a rough guide to what we can expect. But, before putting on our forecaster’s hat, let’s think about the kind of things that might make any forecasts meaningless. For example, what happens if there is a big recession? Typically sales and profits might vanish and so any interest bearing debt the company carries can suddenly become a real problem. Fortunately Mears has only 8% net gearing and interest payments are covered thirteen times over by current earnings. On top of this, their revenues come from long term contracts, around 5 years in length, which are largely from non-discretionary, legally required services which the company’s clients have to provide to their tenants. During the recent great recession revenue did nothing but grow. They even view the Comprehensive Spending Review as possible positive, as local authorities are forced to look for savings; savings which they may get by outsourcing services to Mears. In the longer term it’s unlikely that any of the services that Mears provides will become obsolete as local authorities and social housing landlords will always need to provide repair and maintenance services to tenants. People will always need some sort of care in their homes so the domiciliary care business seems to have a future too. Despite this seeming robustness, Mears does not have a low-cost durable competitive advantage, so why should their future look like their past? Well, that’s a tough one. I don’t know. However, they must be doing a lot of things right to have the history that they have. These things don’t vanish overnight, nor does the goodwill built up over time between them and their clients. According to the company they are the leader in both their main fields and that’s a big plus for any company. More importantly there is research which says that the performance of outperforming companies does gradually revert toward the industry mean, but only over many years and even then is typically still above the industry mean. So even if Mears doesn’t have the fabled durable competitive advantage, I think it’s likely to continue its winning ways for a while yet. Now back to those projections. The average return on equity has been around 23%. Of that, typically 18% was retained and 5% was paid out as a dividend. If we assume that the 18% is added onto book value each year then we can project book value forward into the future growing at 18% a year. 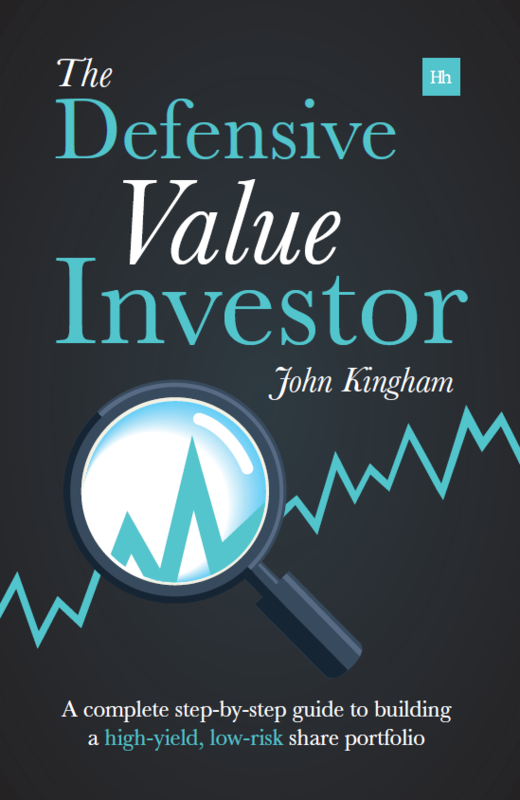 To find the earnings in each year multiply the book value by the average return on equity. To find the share price for each year multiply the earnings by the average price to earnings ratio of 17. This gives a share price in 5 years of 1575 pence and 3600 pence in 10 years, compared to the current price around 250 pence. To calculate the dividend use the average payout ratio over the last decade applied to the earnings of each year. To get a total return estimate, sum up the dividends to the year in question and add that on to any estimated capital gains. That gives a forecast where earnings next year are 47p compared to the current 23p and in five years time the earnings are 90p. Since the PE ratio is also estimated to return to 17 rather than the current 11, the compound returns are 210% to year one, 44% to year five and 31% to year ten. What that means is that if the ROE and PE return to their historic averages in year one, which is highly unlikely, the share price would be 813p and the annualised returns would be 210%. 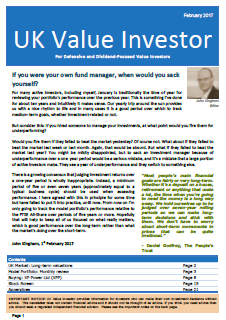 If we held for ten years and sold at the average PE the annualised return would be 31%. Since these seem somewhat optimistic (but who knows, only time will tell), let’s run the same forecast using the average ROE of the last four years which is 15%. In that case the earnings next year are 28p, in year five they are 44p and year ten 77p, giving annualised returns of 88%, 25% and 18% respectively. This seems much more realistic, but again who knows? Another way to forecast the future is to use the historic earnings per share growth rate. In this case it’s about 21.8%, of which 5.1% is paid as a dividend and around 16.7% is retained. By projecting forward the current earnings by 16.7% a year, calculating the dividend using the historic dividend cover average and getting the share price from the historic PE of 17, it’s possible to forecast the total returns for each of the next ten years. In this case the one year annualised return would be 87%, five years is 34% and ten years is 28%. These are all healthy figures. If you want to be pessimistic you can assume that the PE stays at its current low level forever. If you do that then your forecast returns will equal the earnings growth rate, which in this case is about 22%. All of the above projections give annualised returns in excess of 15%, which is my goal, so the estimated returns are more than good enough. A word of warning is required here though. Just because you’ve done a forecast doesn’t mean that it will come true, in fact the odds of any forecast coming true are close to zero. The forecasts are a guide, nothing more. However, the more predictable the earnings of the company, the more likely it is that your forecasts will be robust. The final question is, why the low price? What is there in the company or the environment that makes investors so wary of this company? I think there are several factors. The first is the recession; the shares have yet to beat their 2007 high. The second is the basic earnings which have been hovering around 17p for the last four years, even though adjusted earnings have continued to grow strongly; the difference being growing amounts of amortisation of intangibles from recent acquisitions. The third is the recent failures of Connaught and Rok, two major competitors who went bust partly by bidding too low for contracts (something Mears says it will never do). Another factor is the looming government cuts since local authorities are the main clients. This is a risk but Mears are confident their outsourcing services will be in demand as a way for authorities to cut costs. So Mears in itself hasn’t done anything wrong, it’s the market it works in which is facing hard times. How these hard times will affect Mears is just one more unknown in the vast sea of unknowns which make up the future, which brings me back to the idea of predictability. The more consistent a company’s growth over the long term, the more likely it is that the growth will continue into the future. That’s not to say that it will continue, it’s just more likely. For now I’ll keep looking for these predictable, growing and reasonably priced companies. It’s a very different way of looking for returns than the kind of turnaround situations I’ve typically invested in before, but it sure is a lot more upbeat and that’s got to be worth something. I Like the transition of your style from Graham to Buffet! Did you also look at the company from an 'Owner Earnings' perspective, or Free Cash flow? I did look at free cash flows as well. I'm looking for positive free cash flow in almost all years as well as capital expenditures that are only a small portion of total cash flow, I think around half or less might be a useful guide. Nice pick, I hope you do well. Final results look encouraging. The directors note a record order book, demographics and economic climate provide significant opportunities, and that acquisitions are on the cards. Good balance sheet, PER of 10.6, analysts see double-digit growth in next two years. Looks pretty good. Keep us posted. Really commendable clarity of thought John. As you know I'm not comfortable with forecasting but I can see what you're getting at. I suppose my one criticism is you're forecasts aren't conservative enough. For the company to return what you say ten years ahead, it must be still performing then with every prospect of continuing more or less indefinitely (if I understand it correctly). At some point I think you have to draw the line and assume competition will reduce ROE – which is where you get into the kind of convoluted and assumption ridden spreadsheets I'm dabbling with! But as you say, what do I know!? @Mark – I hope so too. It seems like a good company at a fair price and what more can you ask? @Richard – Thanks. As for the not being conservative enough, I agree. It's a simple model because adding extra layers of complexity might just give you the impression that your projections are more accurate. You can come up with all sorts of multi-stage models of high growth, medium growth and then stable growth, but who the hell knows what the future will bring? Not me. As I said in the email earlier that's why Buffett goes for Coke and Gillett et al, companies with a very high probability of growing at a known rate (something to do with population growth and the expansion of a western life-style across the globe I suppose). Mears isn't in that group, but I'm not expecting to hold forever either. And I'll do a quick projection for Diploma as well.